After stern warnings from the weathermen about the impending frost, gardeners were on high alert this week. Out came the fleeces, in came the newly potted plants. This time of year is always a gamble; seduced by the early spring warmth, we can carelessly plant out those tender young shoots and seedlings which can lead to our undoing. With frost on the ground mid-week, I made an early morning allotment trip to check on everything. Initially, it looked as though I had outsmarted Jack Frost, but the polytunnel told a different story. 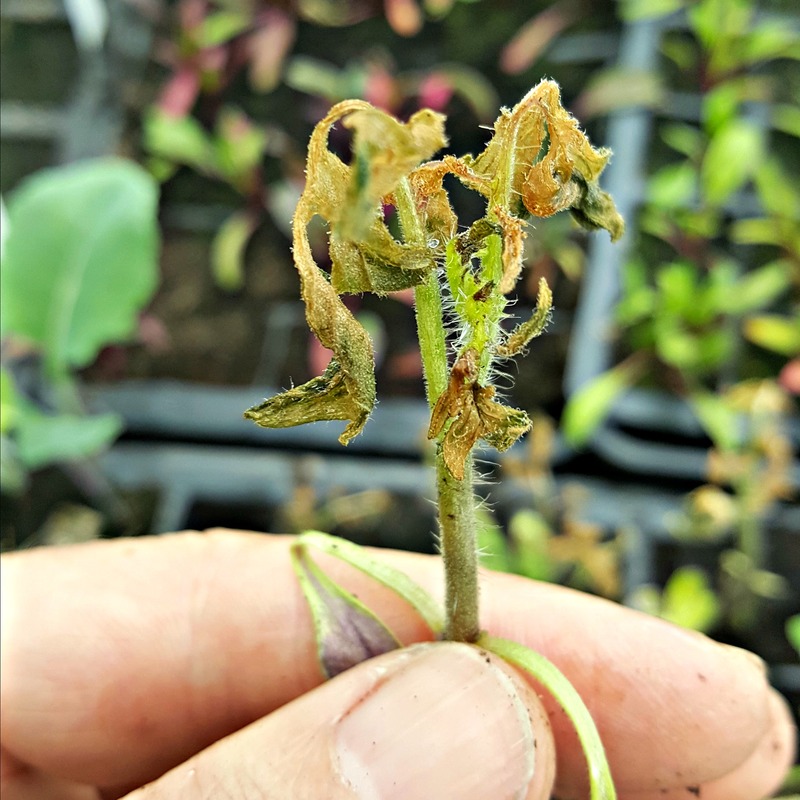 To my heartbreak, all my tomato plants were burnt and withered. To rub salt in the wounds, I returned home to discover my fig tree in the back garden had been devastated by the cold spell. Jack Frost had clearly read some of my previous posts on how to combat him, and was now seeking revenge. Nevertheless, my morale was boosted on Friday when we headed for the Devonshire hills to spend a thrilling day at Toby’s Garden Festival. 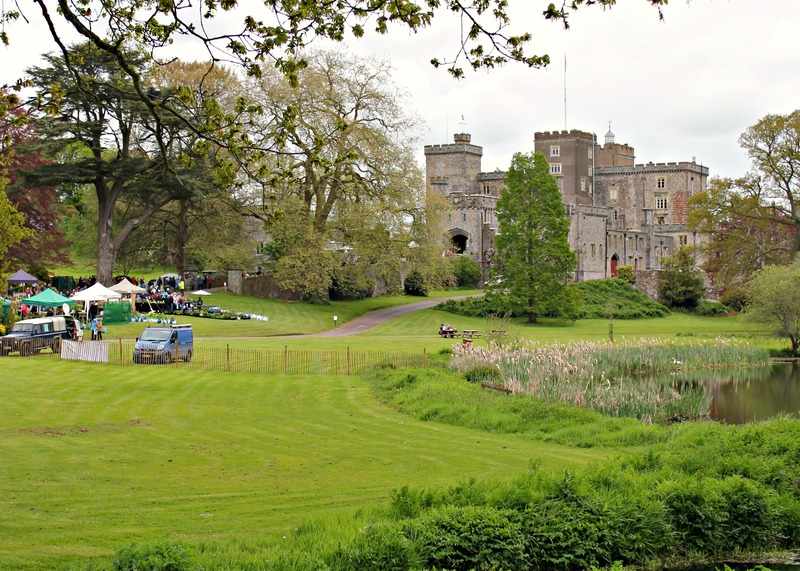 The two-day festival is now in its fourth year, and takes place in the breathtaking grounds of Powderham Castle. Over six hundred years old, it was originally built by Sir Philip Courtenay, and it remains in the family to this day. It even has a mention in the Domesday Book. Toby Buckland, for those who don’t know, is a born and bred Devonshire lad. Gardening has always been in his blood; he was repairing dry walls before he was ten, and after an apprenticeship at a local nursery, he went on to train at the University of Cambridge Botantic Garden. Not only a successful gardener, writer and presenter, his accolades include RHS Gold and Best in Show awards. I first came across him when he presented Gardeners’ World a few years back and I really enjoyed his laid-back style and extensive knowledge. 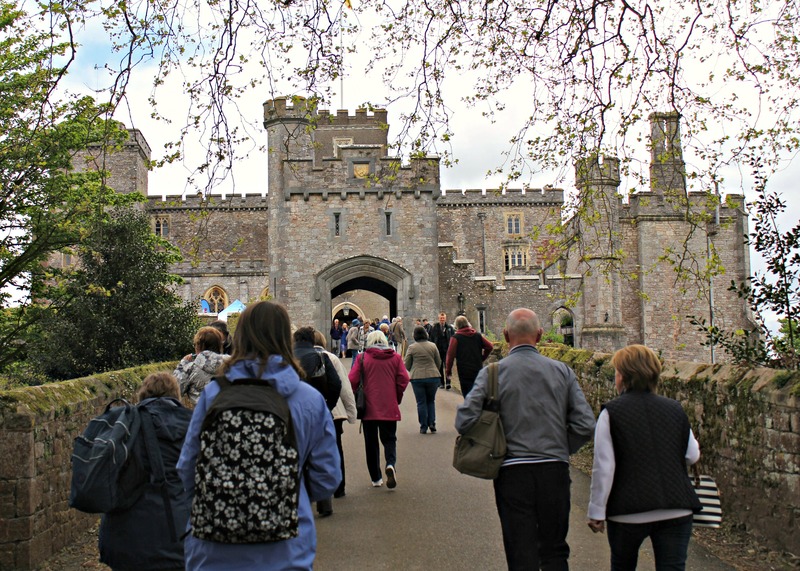 Arriving at Powderham Castle, you can’t help but marvel at the beauty of the location. The festival helpers and volunteers were friendly and enthusiastic, and we were surprised to be warmly welcomed by the man himself as soon as we walked through the gates. With an open smile and a fine waistcoat, Toby happily ushered the guests towards the castle. He’s a bundle of energy, flitting around to mingle with the public, talk to exhibitors or just helping out. So often when you go to a garden festival, they wheel the celebrities out for an hour, they do their talk, and then they’re gone. Toby is clearly a people’s man. If you’re in his company, he wants to make sure you’re having a good time. After a quick tour of the place, we headed for the speakers’ marquee for Toby’s ‘Grow Something Different’ talk, where I learnt about pineapples, what to grow in the age of global warming, and that the more petals on a rose, the more fragrant it will be. 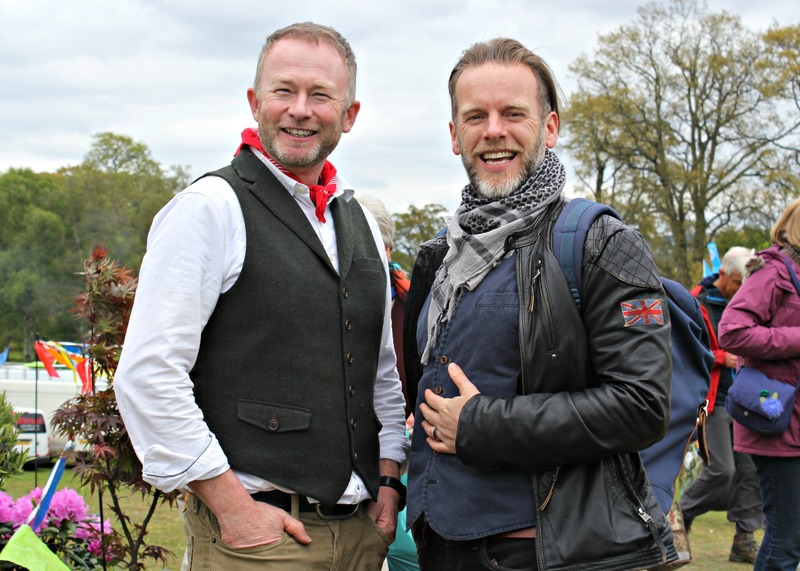 Over the course of the weekend the speaker’s marquee would play host to the likes of Adam Frost, Jim Buttress and Pippa Greenwood; it was the epicentre for all gardening knowledge. 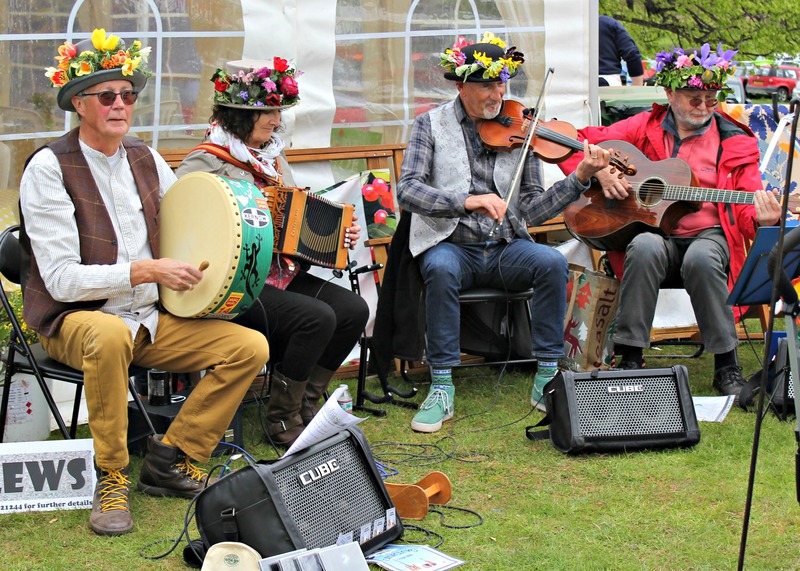 The festival itself is a great representation of what Devon can offer, and has a real sense of community spirit. It’s also something of a family affair as Toby’s son was playing the piano in the catering tent (very nicely, too!) Many of the stalls belong to local businesses, from gardening nurseries to food producers, local cider brewers to artisan furniture makers, and it’s hard not to be impressed. Even the live ceilidh music, from the Cornish band Cataclews, added a jaunty skip to the proceedings. As Soph will tell you, I’m a pasty man. Being from the west country myself, I grew up on a diet of pasties and Devonshire teas. So when we discovered LJs Pantry selling the mother lode of freshly-baked Devonshire delights, it would have been rude not to buy a pasty… or two. To help me overcome the trauma of my dead tomato plants back home, I bought myself some new ones from a Devonshire company called Growers Organics. The whole store looked so alive, with every kind of vegetable plant you could wish for. I came away with not only new tomato plants, but dreams of, one day, running my own small nursery. 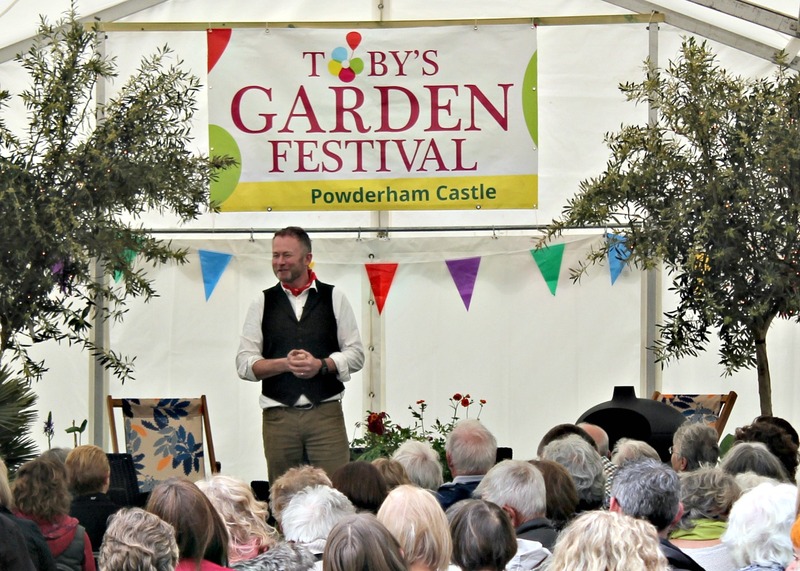 If you didn’t manage to get yourself to Toby’s Garden Festival this weekend, fear not, as it returns later this year, in the thirty-acre setting of Forde Abbey. If you only get to go to one garden festival this year, make it Toby’s. It has an intimacy that some of the larger festivals lack, and like me, you’ll come away with fresh inspiration and a skip in your step. Many thanks to Toby and Lisa for inviting us to Toby’s Garden Festival. I feel your pain. My three varieties of potatoes were in full leaf and helping the allotment look in such good shape. But they’ve been severely blackened by the frost and look rather dreadful. I shall heap soil over them and hope they will revive. Always so terrible when frost kills tender plants. In Maine, we don’t plant tomatoes until the end of May. That castle and festival look amazing. Also, enjoyed seeing the picture of you and Toby.